Sophia Omotola Omidiji: "It is the greatest honour of my life to represent my Nation"
During Nigeria U-20 Women’s National Team’s qualifiers for the 2016 FIFA Women’s World Cup, Sophia Omotola Omidiji made time for an exclusive interview with Women’s Soccer United. Women’s Soccer United: First of all, many congratulations on your recent international call-up to Nigeria U-20 Women’s National Team by coach Peter Dedevbo. Just how much does it mean to you to get the chance to wear the country’s colours? Sophia Omotola Omidiji: Thank you so much. I appreciate it. It is the greatest honour of my life to represent my Nation. It is National pride and I feel privileged, humbled and honoured to represent my country and I will do my best at every training, as well as at every game to make my nation proud. There’s a popular saying in Nigeria that a farmer with a thriving cocoa farm owes this not just to his effort, but to God so I thank God for this blessing. It means everything to me and an opportunity I will not take for granted. I am very proud to represent this great country. I have received overwhelming support from Nigerians of all walks of life, current and former players both male and female showing their support and telling me how proud they are of me and that is very humbling. There is no greater feeling than representing the greatest nation on earth. Nigerians are smart, humble, hardworking, God fearing and I am privileged to say I represent us at a National team level. WSU: You were born and raised in Las Vegas, USA. Was it a difficult decision for you to choose to represent Nigeria over the US and what influenced your choice? Sophia Omotola Omidiji: It is always a tough decision to choose between the country of one’s birth and the country whose heart belongs to. My heart has always belonged to Nigeria. Africa is my fatherland and Nigeria is my country, like the popular song goes. My father is Nigerian and my mother is American- I’m a Las Vegas native born and raised and I’m proud of both of my heritages as that’s what makes me who I am. Being a Nigerian is not a choice just as being an American is not a choice. They are both my heritages and I love both countries but Nigeria has always held a special place in my heart. I am a Vegas girl at heart as I was born and raised there and that is where my brothers were born and raised but it wasn’t a difficult decision because representing Nigeria is a dream I’ve harboured since I was a little girl. What influenced my decision is the support I have received from Nigerians of all walks of life urging me on. WSU: Could you tell us more about your background, what fuelled your passion for football? Sophia Omotola Omidiji: I was born in Las Vegas, Nevada to a Nigerian father and American mother. I have three younger brothers and started playing organized football at the age of 6 but was kicking a soccer ball the moment I could walk. I have played in football tournaments all across the United States and played ECNL football as well. I was coached by Coach Eyal Dahan at Las Vegas Premier Sports Academy and played for Sierra Vista High School where I led my team to our first state championship final in school history. While in High School, I received many scholarship offers to play college soccer in just about every state in the United States big and small schools but I also received offers from Europe and my parents have always raised us to follow our hearts, follow our passion and as soon as I realized that I can continue my education, which is very important to me, I decided to go to Europe. I had offers from clubs in Belgium and the Netherlands and went on trial at Ado Den Hague women in the Hague but it wasn’t a fit so I went to and I’m currently at FC Eindhoven. Just when my international transfer was completed and I was set to play my first game, I received a call-up for the Nigerian U-20 women National team. FC Eindhoven is a great club with a rich history, great coaching staff, amazing players. I felt at home from my first day at training there. All the players there and coaching staff were great to me. What fuelled my passion for football is my dream to change the world through football. Show young girls coming up that you too can dream. Anything is possible if you dream big, work hard and persevere. It may sound a bit naive but I know there is a lot that I can do in the future to help young girls especially in my continent. Football is just a tool that I can use to reach young girls. 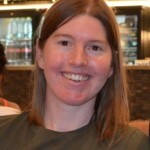 WSU: What would you say characterises your play? Sophia Omotola Omidiji: I’m fearless and very dynamic. I have no fear when I play, will take on any player. I am a very fast, technical, goal scorer and creator. I am not a tall player but I’m very strong and can hold up play very well. I also have vision and intelligence on the pitch and those are what characterises my play. My pace makes me hard to defend against and I am often in the right place at the right time which is critical for any attacker. I am also very versatile and can play any midfield position from the wings to a CAM. I think smart coaches like coaches I’ve had in the past bypass height and look at talent because at the end of the day, there are many tall players that don’t have my 7 year old brother’s skills. 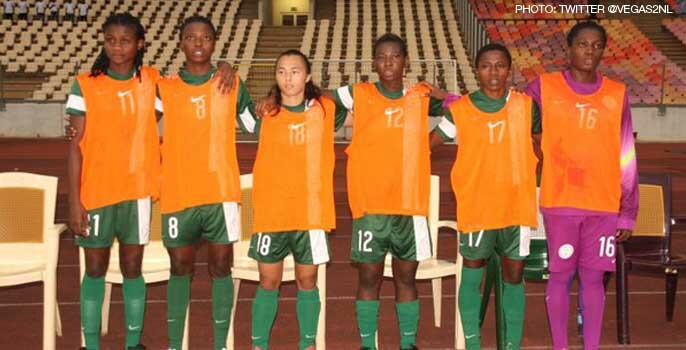 WSU: Nigeria are currently competing in the 2015 CAF U-20 Women’s World Cup qualifying tournament, in which just two teams will qualify for the 2016 FIFA Women’s World Cup in Papua New Guinea, how would you rate your team’s performances so far? Sophia Omotola Omidiji: Yipee!!! Almost there and by the grace of God, I’ll report back to you that we did it!. I’m delighted with the way they are playing as we’re full of confidence and we’re looking forward to Saturday. So far- we’ve done great but the mission isn’t completed yet. Under the guidance of the #1 women’s coach is the world Coach Peter Dedevbo, we have gone from strength to strength. Our defence is the best in the world, our midfield is filled with creative players that controls every game and our attack is unstoppable. Mix that with the tactical and technical brilliance of our head Coach Peter Dedevbo, you’ll see why we have played really well so far. I think everyone expects one sided and large cricket score score-lines when we or any Nigerian team play other African countries but the reality is that while we’re still the leaders, other African countries are catching up and that’s true not only at U-20 level but also true at U-17 and the National team. That’s also true on the men’s side at all age groups. There are no more easy games. The results are there for all to analyze so to beat Congo in both legs while not easy is a credit to our Coach and the determination and hunger of the team. We are continuing to work hard to prepare for South Africa and with Coach Peter at the helms, we will be hard to beat by any country in the world. We are focused and working diligently to come out victorious but we are not taking anybody lightly as there are no more underdogs. It’s any given Sunday. WSU: Looking ahead to the crucial final round of CAF U-20 qualifying matches against South Africa, what do you know about your opponent and how will you prepare for such important fixtures? Sophia Omotola Omidiji: One thing growing up in Las Vegas taught me is scouting your opponent. My dad and I used to go watch future opponents before we play them so that we can strategize on how I can penetrate their midfield and defence and me and him would do that for my younger brothers as well so that before we play them, we know their tendencies, weaknesses and strengths. What I’ve learned about South Africa is that they have great individual players who are great dribblers of the ball. They are also good at long range shooting and play well as a team. They spread the field pretty well and try to catch you on a counter. To prepare for them, we are being prepared by a FIFA coach of the year nominee in Coach Peter Dedevbo who took our nation to her first World Cup final in the women’s game and heart breaking loss in extra time to Germany in a game which Nigeria dominated. We have been training non-stop through rain and sun to be ready for any challenges South Africa may pose. We live by the African saying that a mouse that removes the palm-nut that turns out to be the bait of a trap, would already have known that the palm-nut does not ripen on the ground so we are not taking South Africa lightly and won’t fall for the trap of complacency. We are preparing day and night, everyday to defeat them. We have a huge target on our backs, we know everyone wants to dethrone the Falconettes so we respect every opponent and prepare meticulously for them. Our coaches and support staff are doing a great job in getting us ready. I have full confidence in our preparation and the coaches preparing us. We will be ready for the challenge and by the grace of God come out victorious. Coach Dedevbo is the master of dissecting opposing teams and exploiting their weaknesses. We are but iron but our Coach Dedevbo is the blacksmith. He and his coaching staff are prepping us for the game. We have the support of 170 million Nigerians and many hardworking people in the NFF working in the background to make this team successful. We won’t disappoint the Nation. WSU: What can you say about the current mood in the Nigeria U-20 Women’s National Team camp? Sophia Omotola Omidiji: The current mood in the camp is an upbeat one. We have unity in purpose and know what our mission is and we are determined to complete the mission given to us by our nation. This is a National assignment from a nation of 170 million and we are mentally and physically prepared to complete it. We are excited. Looking forward to the challenge. Looking forward to defending home ground. Looking forward to making our nation proud. We have a team coordinator named Prisca Lorjaa who is like the mother of the team and is making sure that we are all mentally ready for the game and we are. Under the guidance of Coach Peter Dedevbo the head coach and the assistants Coaches Toyin Ayinla, Coach Wemimo Olanrewaju and Coach Auwal Bashar- we are getting ready for the first leg against South Africa. While not underrating or overlooking South Africa, we are confident in our coaches directions and are confident in ourselves. We give God the glory for coming this far and we know that if we play to the direction of our coaches, we will do well. I want to use this opportunity to urge the country to turn up in large numbers to the National Stadium in Abuja to come and support us like only you can and cheer us to victory. Let South Africa know that they’re in the Falconett’s nest. WSU: What does Peter Dedevbo bring as a coach of the Nigeria U-20 Women’s National Team? Sophia Omotola Omidiji: Words that defines Coach Peter Dedevbo are pedigree, world-class, motivator, tactical mastermind, inspirational and technical genius. Those are the words that define him. He brings all of that to the Nigeria U-20 Women’s National team. Being new to playing for Nigeria and being new to the style and his individual philosophy- he believes in me and that means a lot to me as a player. I’m new to the National team and to have the confidence of your coach speaks volumes about him. He never stops motivating and encouraging me and that helps a players psyche. He is a big picture, long term thinking coach that understands the psychology of the game and I’m a beneficiary of that. When your coach believes in you, you believe in yourself and one day when I become a coach, I’ll apply his philosophy to my players and teams. I have seen coaches that have a narrow view of the sport and are short sighted when it comes to players and player development but Coach Peter is a big picture coach. He looked at all my attributes as a payer, analysed my game and pin pointed my strengths and weaknesses. He is now improving my strengths while also working on my weaknesses to develop me into a world class talent and years from now, I think people will read this interview and credit him for my development. I am scared of my potential and look forward to taking the Dutch league by storm and that’s the confidence that he’s given me. I am proud as a Nigerian to say he is the best of the best and we have him. We are lucky to have him coaching our U-20 National team. I’ll remind everyone that HE IS THE FIRST AND ONLY AFRICAN COACH TO BE BESTOWED WITH THE HONOUR OF BEING NOMINATED AS A FIFA WOMEN’S COACH OF THE YEAR. He also led our continent to its first Women’s World Cup final. Prior to him, no coach has ever led any African team to a Women’s World Cup final at any level – U-17, U-20 or the National Team. I will also remind everyone that he is the current Nigeria coach of the year. Although he is very humble and won’t talk about his accomplishments, I think it’s critical for the world to know that Nigeria’s own, Asaba’s very own Peter Dedevbo is the best coach in Africa bar none and one of the best coaches in the world. He would never say that but the proof is in the pudding. He is very technical and I think he is revolutionizing African football with his emphasis on not whether you win but how you win. Watch any of his teams play whether it’s the U-20 team that reached the World Cup finals last year or our team and you can see a style, you can see his signature. He has developed a lot of players that are now playing in Europe and the United States and I’m honoured to call myself a student of his. He has a template and a way he wants his player to play and he does a great job communicating that. He is a great communicator. He does a great job in preparing us for our games, knows what the opposition’s tendencies are and prepares us not to only blunt their strengths but also impose our will on them. He is a tactical magician as he understands the game, reads the game very well and dissects the opponents. While he has is style of play, he makes changes depending on the opposition and that’s a mark of a great Coach. His greatness also extends to his assistants – Coach Wemimo, Coach Ayinla and Coach Bashar who all do amazing jobs for our Nation and I just have to mention them because they’ve all been great teachers and family to me and all the players on the team. Coach Dedevbo’s interest is one thing and that’s developing us individually and then merging us as a team and his resume proves what an excellent coach he is and I’m glad the world is finally taking notice. 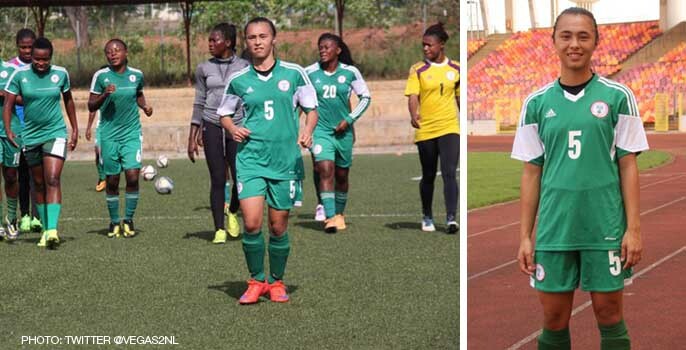 WSU: On an individual level, how would you define the role you play in the Falconets’ dressing room? Sophia Omotola Omidiji: I’m a quiet, confident type of player in the dressing room. That’s just my nature around my team-mates from when I started playing because I learned early that mental preparation is just as critical as physical preparation so I don’t do the ‘rara’ speeches as I don’t want to affect somebody else’s mental preparation as I have my own routines. There are established veterans and leaders on the team so my part is just to pump up my team-mates like, “we’ve got this”, “we are the lean, mean, green white green machine and nothing can stop us.” I encourage my team-mates to help get the best out of them and I am always there if anyone wants to talk. Even when I was the captain of my high school team and my club team Las Vegas Premier Sports Academy, I led on the field and rarely talked. I let how hard I work at practice and games do my talking. 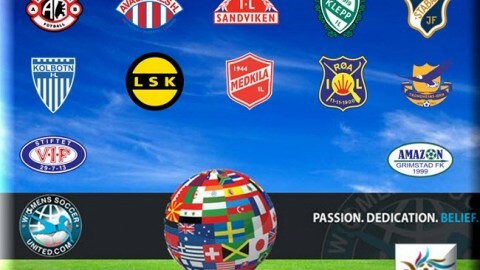 WSU: At club level, you recently made the move to the Netherlands Eredivisie side FC Eindhoven from USA, how did this opportunity present itself to you and what appeals to you the most about this new challenge? Sophia Omotola Omidiji: I had a lot of scholarship opportunities in the United States but also received offers from Europe. Education is very important to me and I knew no matter what option I choose, as long as I’m able to continue my education, I’ll be fine. I went on trial for about a month with Ado Den Hague and Ado Den Hague Jong after I turned down offers from other clubs in Holland and Belgium. When the opportunity at Ado fell through, I went to train with FC Eindhoven and immediately felt at home. I felt like it was a good fit for me so here I am. The style is different from the states and Nigeria, language is different but I am very confident in myself and I know what I can bring to any team. I have full trust in my abilities as a football player. What appeals to me the most is the opportunity to help the team gain promotion to challenge the top teams in Holland. I know we have the personnel and the coaching staff and in the process I’ll be learning from great coaches at a great club and playing with amazing players. I want to play at the top level in Europe and play in the Champions League challenging all of Europe’s elites. Those were my stated goals when I came to Europe and I think the opportunity exists at FC Eindhoven to do that and I’m ready to do that. I want to be the best player in the Netherlands and Europe. Those are my goals. I’m a big dreamer. I dream and wake up and work and it has worked for me so far in life and I’ll keep dreaming and working. WSU: What are the noticeable differences of playing styles in USA, Europe and Nigeria? Sophia Omotola Omidiji: Europe – specifically the Netherlands where I play is a 4-3-3 system where emphasis is on possession, keeping hold of the ball, not pressuring, waiting on the opponent to make a mistake, then capitalizing. It is more about style, playing to a template, staying within a system and playing the right way. There are not a lot of emphasis on speed and the physical nature of the game. In the United States, formations vary but it’s usually a 4-4-2 system with one attacker up top and the other striker in what my coaches used to call the hole so that the striker playing in the hole can be the link between the mid and the lone striker and the wingers. American football is also very physical and direct and has room for individual play which is where I learned to express myself on the pitch. America also taught me the competitive nature of the game, it’s not just about participating, you play to win. It’s that give everything you have, fight till the last second American spirit and you see it on the U.S National teams. In Nigeria, we play possession as well, under the guidance of Coach Peter Dedevbo who has his coaching philosophy of attractive attacking football, we spread the field, attack as one and defend as one. Nigerian football is very direct and attack minded. We don’t wait for the opponent to make a mistake, we pressure them to make a mistake. That is one huge difference, we pressure the opponent all game and force them into mistakes, force them to do things that are out of character, don’t give them room to breathe and we attack at a fast pace. We are very physical and fast which is what teams can expect when they face us but the new generation led by players like Desire Oparanozie of En Avant de Guingamp, Courtney Dike of Oklahoma State, Asisat Oshoala of Liverpool, – we are now very technical as well as you can’t watch any of these ladies play and not see poetry in motion. I love all three styles and I think when I master the combination of all the three styles I’ve been exposed to from the United States to Europe to Nigeria- world watch out! WSU: You have impressive strength, speed and a keen eye for goal [you are the all-time leading goalscorer for Sierra Vista High School], what would you say are your best skills as a striker and what part of your repertoire are you working to improve? Sophia Omotola Omidiji: While my primary role is that of a striker, I think my best asset is my versatility as I can play in either wings. I can move, dribble and shoot with both my left foot and right foot. I watch and learn from players like Theo Walcott, Raheem Sterling, Aaron Lennon, Shaun Wright-Phillips who aren’t tall players but their game speaks volumes because of their speed, technical skills and eye for goal so those are the skills I bring. I am also a great passer of the ball because being a striker, you tend to know how you want the ball so when you play behind the striker, you play the ball the way you’d want it. A team can deploy me either centrally or wide or even behind the main striker depending on the team’s need. Coaches have also rated my dribbling skills high on the list of what I do well. I have a lot of tricks in my arsenal that I deploy depending on the situation so I am good one on one and that comes from being from a soccer home where my younger brothers and I would watch soccer moves on youtube and attempt to pull it off on one another, then take that to our respective practices and then try them in a game. I also play with a lot of energy and have a high work rate as I love to get involved, chase opposing players down to regain possession for my team or force them to make a bad pass. Those may not show up on the score sheet but like my coach Eyal Dahan in Las Vegas once said, there are things I do that one can’t measure as a statistic but it’s just as impactful as the goal because it affects the opponents. I am also a great header of the ball. I somehow more often than not get my head to the ball from corners and crosses. It’s a trait I worked on in Las Vegas with my dad who always reminded me not to ever let anyone rate me less because I’m not 10 feet tall. He always told me that my game is 50 feet tall. I also have low centre of gravity which makes me difficult to knock off the ball. Areas of my game that I’m working to improve is I’m always working to be a better finisher, better passer of the ball to increase my pass completion rate. I am far from where I want to be but I never stop analyzing my game to work on improving every area of my game. WSU: Which players do you enjoy watching the most and who are your role models? Sophia Omotola Omidiji: I enjoy watching Brazil’s Marta because of her ability to change the game, she’s not a tall player and neither am I, just very fast and technical and I try to fashion my game after hers. Marta is INCREDIBLE! Plays with confidence knowing that I am better than you and I’ll show you why as she blows past a defence. I also enjoy watching Abby Wambach of the United States because she changed women football in the United States and made everyone pay attention- without her, I don’t think women soccer in the United States would be where it is today. Mia Hamm paved the way and Abby took it to the next level. On the men’s side I enjoy watching old players like Roberto Baggio, Brazil’s Ronaldo, Zidane. Those are all players that I admire. My role model off the pitch are my parents and grandparents. WSU: What do you think the future holds for Nigerian women’s football in the coming years? Sophia Omotola Omidiji: I think the future of Nigerian women’s football is bright as is the future of African women football overall. With the leadership and technical crew at the NFF led by Dr Ekpeme and Mr Lagunju, we are headed in the right direction and the future is bright. Let us start with the indisputable fact that we have dominated African football at all levels since women football started in Africa. The question then is how do we maintain our lead over other African countries and how do we start to dominate globally because the talent is there, the desire is there and the visionaries in Nigerian Football are looking at how we can maintain the gap on our African opponents and how we can win global tournaments and move from what we call local champions to global champions and the last U-20 finals appearance shows a move in the right direction and that’s credit to the leadership at the NFF and the tireless efforts of the young Nigerian girls giving their all. Nigeria is also revolutionizing African football with the use of brilliant professionals like Kasia Muoto at the last world cup who is a Mental Conditioning Coach/Psychologist and an overall role model and mentor to girls across the continent. Focusing on the psychology of the game is unheard of in African football so we are taking steps in the right direction. Even though that is not new to me as I grew up in the United States but to see that in my nation, hear about her amazing work is inspiring to me. All that being said, I’ll just like to use this forum to invite corporate Nigeria to invest in women football. We are your daughters, children, future mothers of the country. It is only with investment in women football through corporate sponsorship that we can keep the lead we have on other African countries and be a global force. I want to see the women’s league on television, want our girls to earn more than they do, call on Nigerians to go out in full force to watch women football as we are your daughters and sister so supporting us will show corporate Africa that people support women football and it’s good business for them to invest in it. I play in the Netherlands where there are tons of clubs for both boys and girls to play in every city. This starts from grassroots women football to the professional women’s league we have in Nigeria which has been the conveyor belt of talent to the national team and I think it rings true for women’s football everywhere, we need corporations to support it the way they support the men’s game. Nigeria is a engine room of talent, we have girls aspiring to be like the next Courtney Dike, the next Francisca Ordega, the next Oshoala, the next mercy Akide so the condition is ripe, we just need a little support. 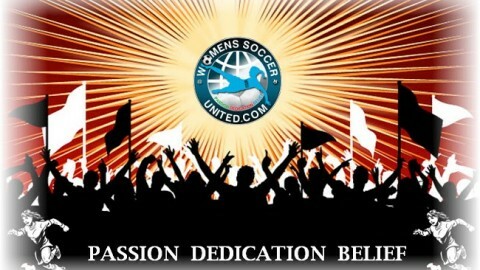 With corporate sponsorships also comes true professionalism of our women’s league. I don’t play in the league but I’d love to see those that play in the league get better pay, healthcare, educational assistant, off the field and off season support because how they fare has a ripple effect on the National teams. I think the current administrators are doing an amazing job but without corporate support, what can they do? 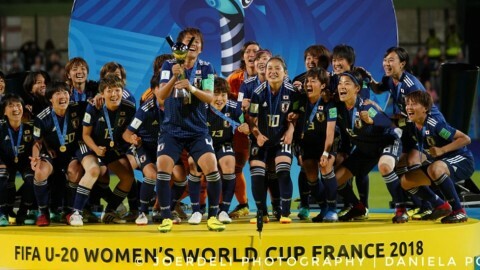 The WPS in the United States folded years ago because of finance, we have a new league in the United States now but it’s only up because of corporate support so if we really want our women to dominate world football, we need corporations to step up and step in. I guess you can call me a feminist but I consider myself fortunate to have the opportunities I have to get my education and pursue other interests outside of football but what about girls that aren’t as fortunate so I think we need to invest in education of our female footballers and coaches so that when football is over and they’ve served our nation, they can live productive lives and that’s something I’ll always be vocal about. WSU: You’re still only 18. What are your goals and ambitions for the future? Sophia Omotola Omidiji: I currently play for FC Eindhoven and it’s a great organization and club to represent but like every football player, I have ambitions to play Champions League football and I think we can do that. That’s my immediate goal and ambition. I want to help my team challenge Europe’s elites. I attend college in Holland right now and also take online classes with a college back home for extra credits studying business administration – being a college graduate in my family isn’t an option. It’s a must so I’m going to get my college degree. While playing pro and in college, I’m going to be taking UEFA coaching courses in Europe and also get USSF coaching licenses in the United States so that after my playing career, I will have the qualifications to coach a team and inspire girls the way those before me have inspired me. I also want to own a football club in Nigeria and give back to people. I want to run businesses in Nigeria as well but also setup a foundation that will help young girls in sports in Nigeria either through scholarships initiatives or just boot drives to put soccer boots on their feet, helping to setup local leagues so that girls 7-8 can start playing football and learning the technical aspect of it early and I’ll do that by bringing coaches that have taught me over the years to my country to do clinics, maybe coach’s education. There is a lot to do and these are all my future plans but right now, I’m living in the moment, focused on today – focused on getting to the World Cup with my team while plotting tomorrow. WSU: The passion and enjoyment for the game is clear to see. What is your fondest memory of your football career so far? Sophia Omotola Omidiji: It has to be where I am right now. In Nigeria with the Nigerian U-20 Women’s National team, with my amazing team and my great coach. If I go back beyond that, I’ll have to say scoring 38 goals in my final high school season and leading us to our first state championship final is my fondest memory of my football career because of what it meant to my school and the pride with which my parents watched from the sidelines and my baby brothers saying that’s my sister- she rocks. That is the fondest memory of my football career so far and I have barely just started. I have many things I want to accomplish and I look forward to it. I know in football just like any endeavour one undertakes, there’ll be challenges and ups and downs but I’m ready to persevere. 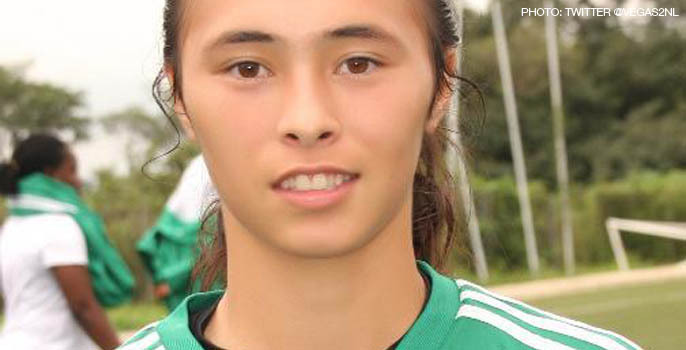 Good luck against South Africa in your hurdle in the U20 WWC qualifiers! After reading your answers, I can not believe you are only 18 years-old. You have already achieved so much and your ambitions and passion for the game is very admirable.